The SaveEnergy wet electrostatic precipitator is a high-capacity separator. The wet procedure guarantees dust emissions of below 10 mg/nm3 at an availability of around 99%. The separator pipes are predominantly cleaned in a natural process via the condensate film forming on the surfaces of the separator pipes. No mechanical installations are required for cleaning. This results in low-maintenance, robust operation and sets top standards regarding availability and durability. 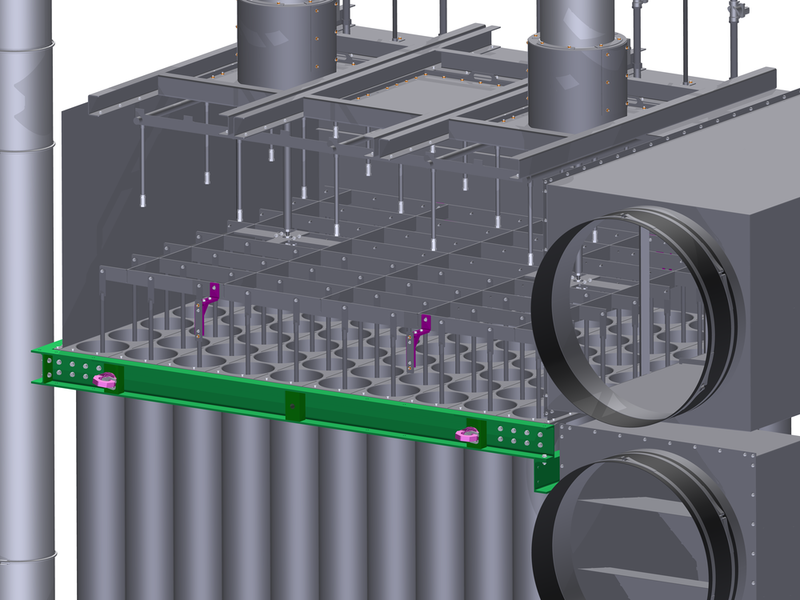 The SaveEnergy wet electrostatic precipitator is arranged downstream of the flue gas condenser. The cooled flue gas has a reduced volume. This means that the SaveEnergy wet electrostatic precipitator is compact and thus saves on space. In the SaveEnergy wet electrostatic precipitator, the solids are separated from the flue gas by the impact of an electric field. The electrically neutral dust particles are charged by emission electrodes. The impact of the electrical forces transports the particles towards the precipitation electrode and thereby discharges them from the gas flow. The SaveEnergy wet electrostatic precipitator is designed as a pipe separator. The sheath surfaces act as precipitation electrodes. The flue gas condenses on the free-standing sheath surfaces. The solids are continuously transported to the water treatment system via the condensate. This makes the wet electrode precipitator self-cleaning and insensitive to soiling. Thanks to this self-cleaning design, there is no need for a mechanical tapping device to clean the precipitation electrodes. This also results in a far lower maintenance requirement. 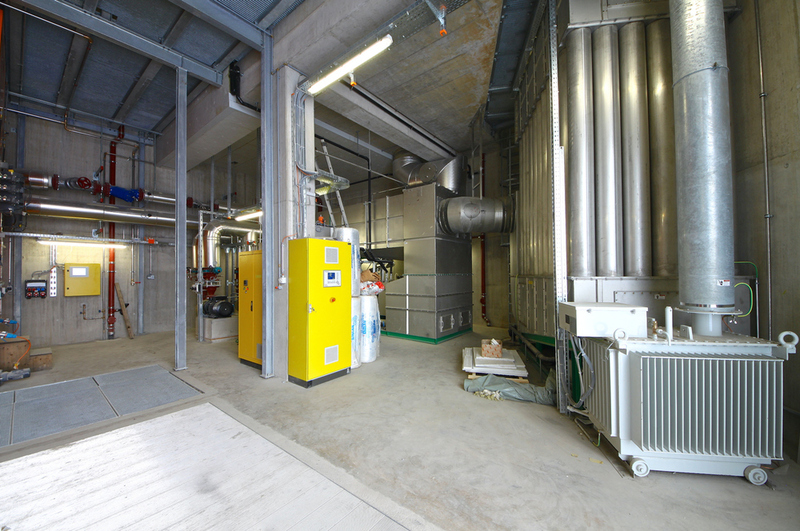 Thanks to the upstream SaveEnergy flue gas condenser, the flue gas is cooled down. The flue gas enters the wet electrode precipitator at a temperature of about 50°C in a fully saturated state. These low temperatures result in a reduced volume flow. 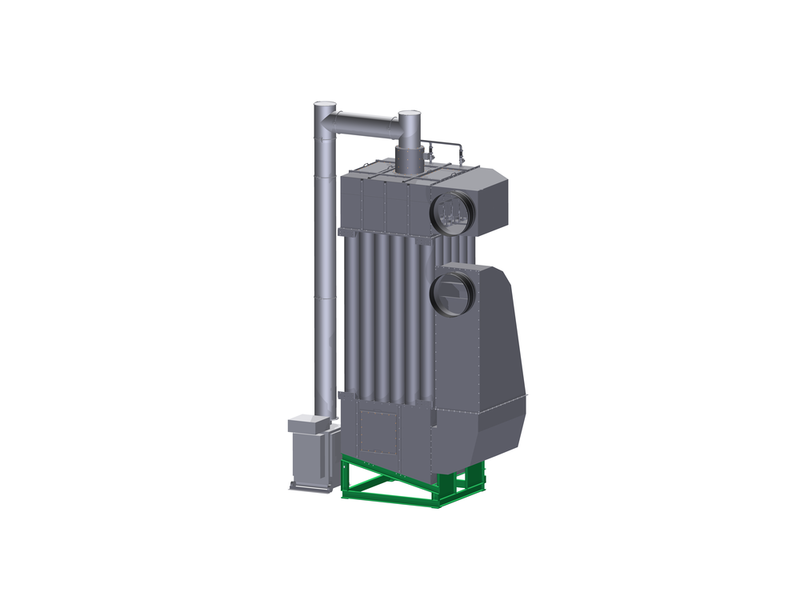 This permits the compact design of the SaveEnergy wet electrode precipitator. As the wet electrode precipitator is operated in a ‘wet’ condition in all operating modes, there is no risk of the dew point being undershot in partial load mode. In the dry separation procedure, if the dew point is undershot the precipitation electrodes gum up. In all modes the SaveEnergy wet electrode precipitator guarantees a maximum separation degree and thereby compliance with the highest ecological standards, which fall greatly below the legal requirements.